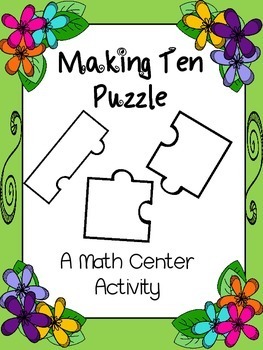 Need a quick Math Center activity? 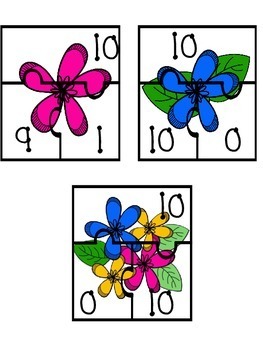 This puzzle activity will help your students memorize the addends that make ten. 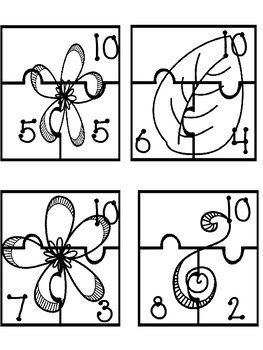 Puzzle pieces come in two forms: black and white and color. A worksheet for students to record their findings is included as well. 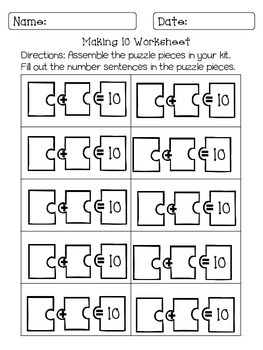 - Print and cut the puzzle pieces, and have students try to combine the correct pieces. Then, have them record their findings on the worksheet. PLEASE! Don't forget to comment/rate the product once you review it. Positive feedback helps towards future releases!